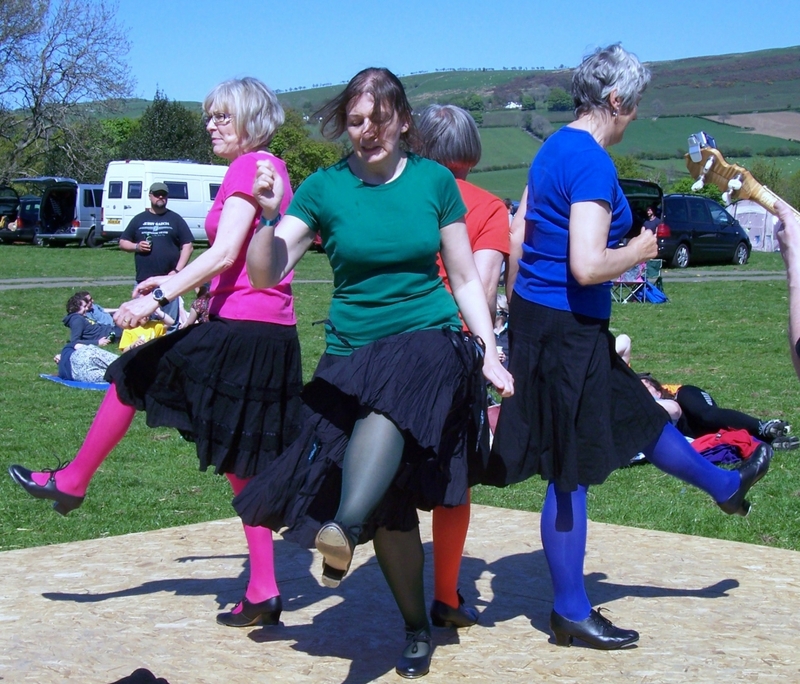 “Leap To Your Feet” Appalachian Clog Dance group was formed in 1993 as an offshoot from the “Shredded Feet” Appalachian dancers who were based in Leyland, Lancashire. From a small team, the group grew in numbers and ability and still continues to this day. Over the years there have been a number of changes. The most notable being the retirement of Joyce Riding and Sue Grills at the end of 2005. These two, who were amongst the founding members, choreographed and taught many of the dances still used by the group. In June 2012, the untimely death of Margaret Ranyard who had been a leading light of the group and a dancer since the earliest days shocked and saddened us all. 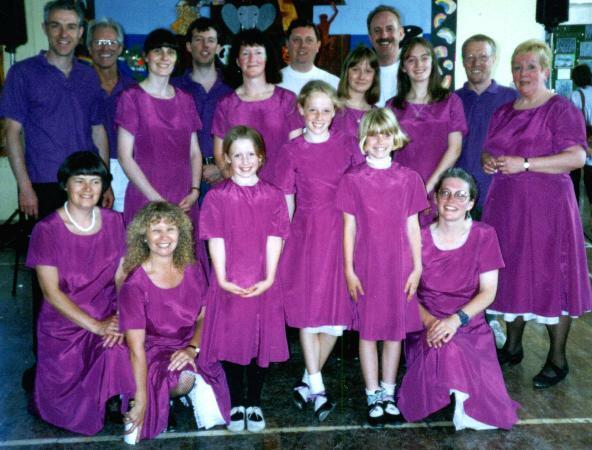 During these years the group have progressed from performing at school fetes and small venues to shows at the Lowry Theatre in Salford and the Albert Halls in Bolton. They also have appearing at many Folk Festivals including: Ulverston, Saltburn, Cleckheaton, Fylde, Saddleworth, Ormskirk and Chorley. Performances have also been given at the A1 Bluegrass Festival in Peterborough and the Llandudno Coastline Bluegrass Festival. “Leap To Your Feet” have also appeared on TV in the BBC2 show “Let Me Entertain You” with Brian Conley. 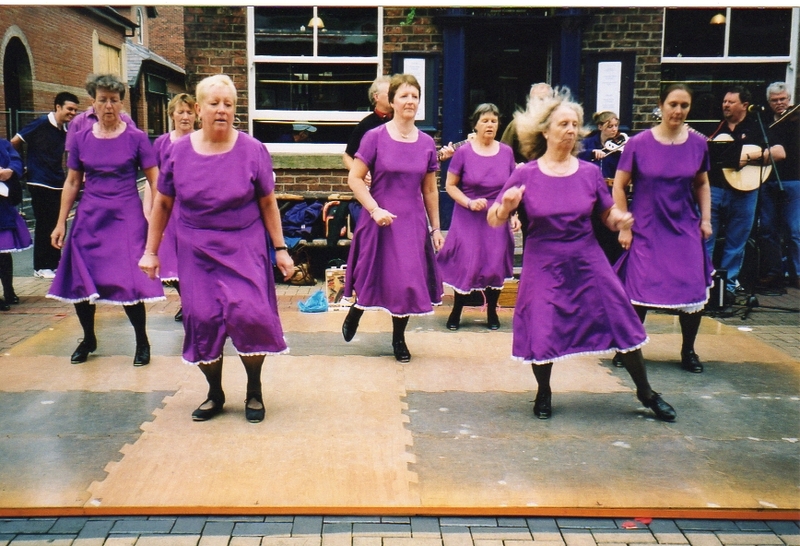 On Midsummers Day in 2014 the group celebrated 21 years of dancing as a group by holding a Day Of Dance in Bolton town centre where they were joined by several Morris Dance sides from across the North West. Later, they held a celebratory evening which was attended by a large number of people who had been involved with the group as dancer or musician throughout the 21 years.